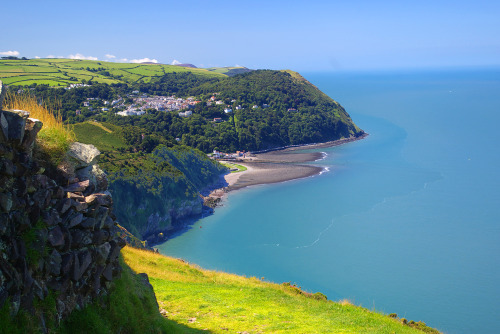 There are several long-distance walking trails which pass in, around and through Exmoor, the longest of which is the South West Coast Path National Trail. Beginning in Quay Street in Minehead the first ‘leg’ stretches 10 miles through to Porlock. Arguably the most challenging part is the 13 miles from Lynmouth to Combe Martin. Whilst the dramatic rocky coastline and scenery are staggering, this is pretty much what you will be doing as you stumble jelly-legged into Combe Martin having negotiated Great Hangman hill, the path’s highest point, along the way. The walk passes through five Areas of Outstanding Natural Beauty, seventeen Heritage Coasts and two World Heritage Sites as it wends its 630 miles to the finish in Poole in Dorset. Join the South West Coast Path Association, http://www.southwestcoastpath.org.uk to help plan walking the coast path.